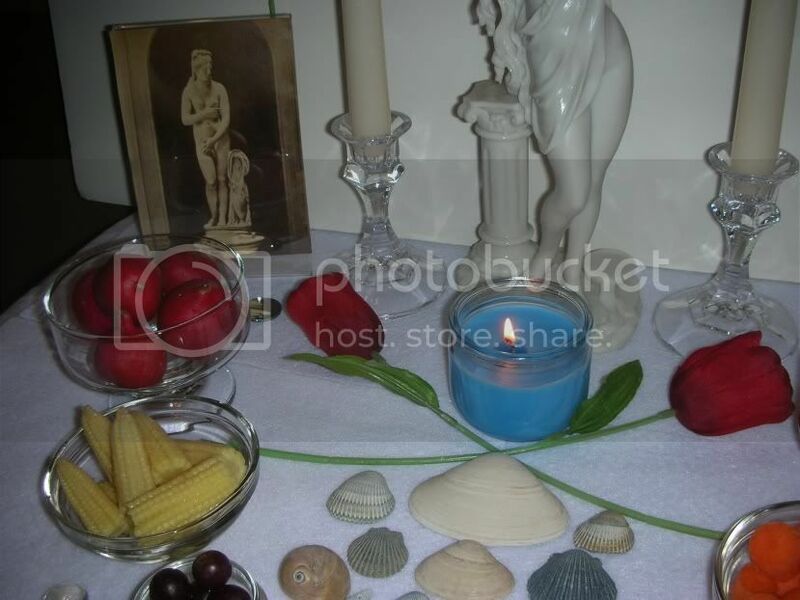 Michael The Researcher: The Roman Festival Of Veneralia Dedicated To The Goddess Venus 2010!! 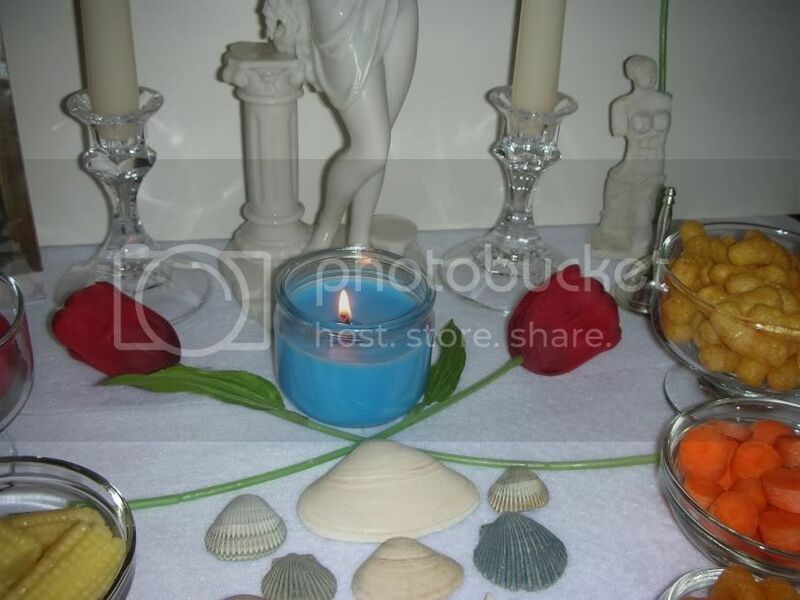 The Roman Festival Of Veneralia Dedicated To The Goddess Venus 2010!! 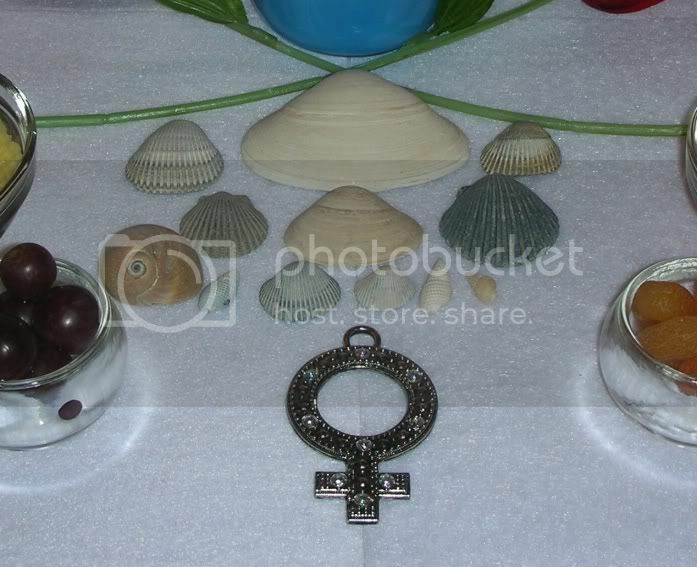 Thursday, April 1, 2010 - the day of the Roman Festival of Veneralia dedicated to The Goddess Venus. I endeavored some ancient reenacting today, and did as the Romans did. I tried to be as historically-accurate as possible. 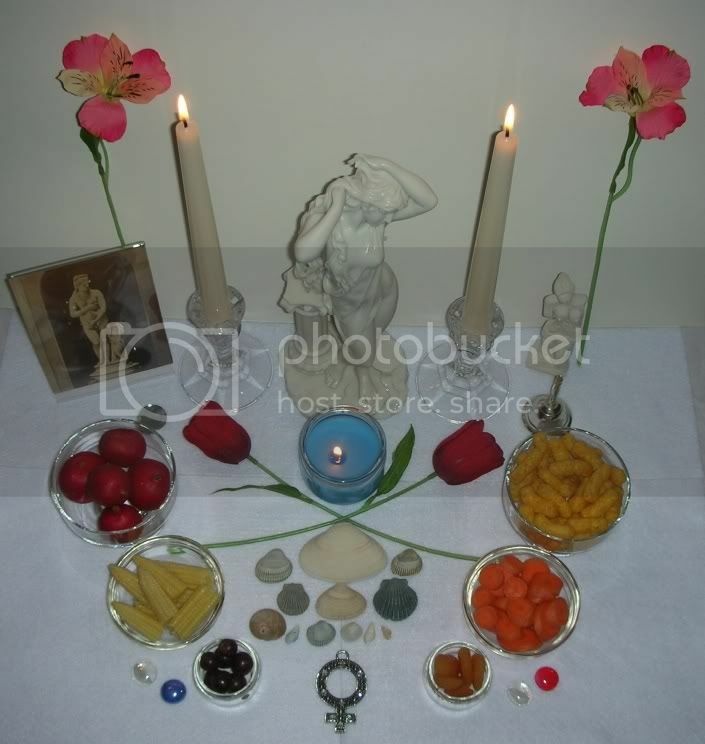 I erected a nice Shrine and Altar. Therein you will see a soaking-wet and dripping Venus Statue. On this day in antiquity, the Romans washed all of the Venus Statues and adorned Them with flowers. In that spirit, I made sure She has been ritually cleaned and prepared with the proper offerings. She was originally associated with vegetation so I added plenty of vegetables in addition to fruit and some peanut snacks (German import purchased at Aldi). 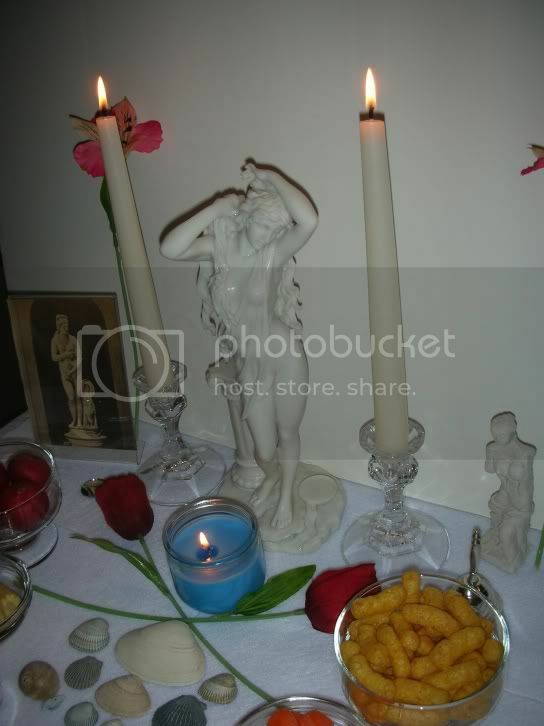 The Venus De Milo to the right is a clay statue I made earlier this year. The image to the left is an albumen print photo dating to the late 1800s. 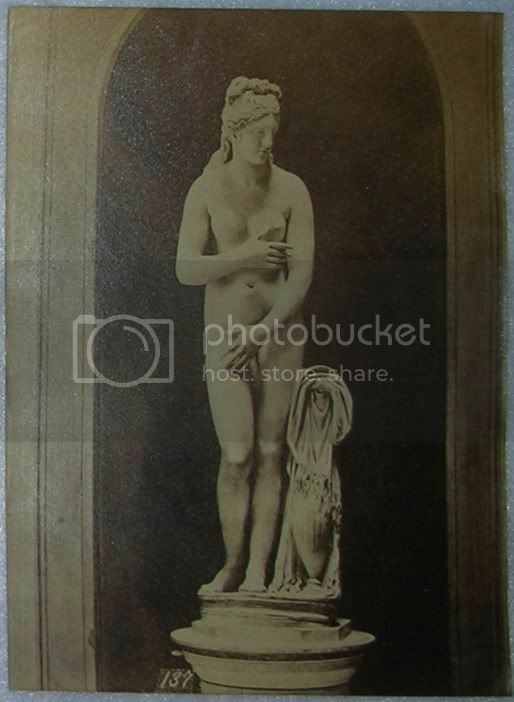 It features the specific Capitoline Venus (based on the Aphrodite Of Cnidus or Aphrodite Of Menophantos). 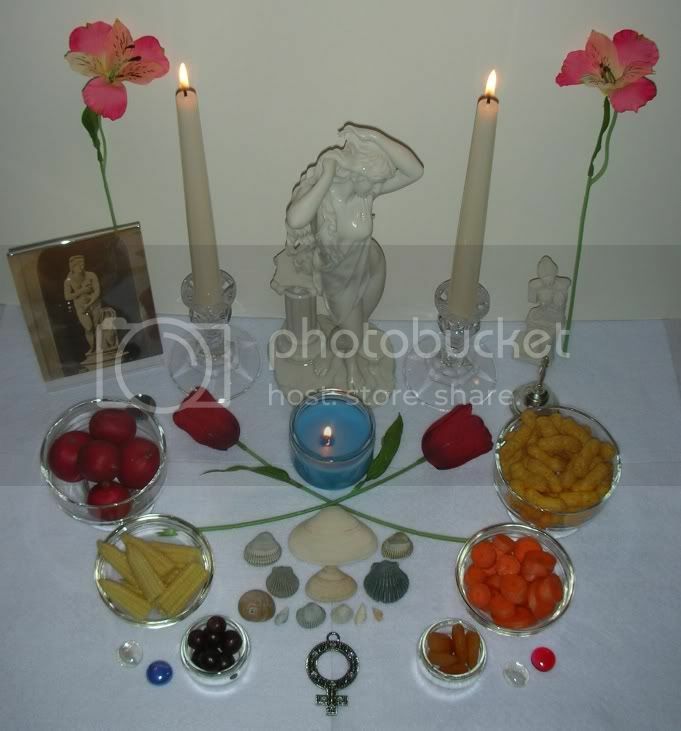 Happy Veneralia! !